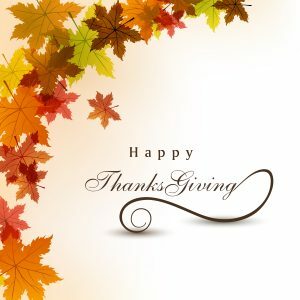 Happy Thanksgiving, Here’s Some Fun Stuff To Do At The Library This Week! The libraries will be closing at 5:00 p.m. on Wednesday, November 22 and remained closed Thursday, November 23 and Friday November 24. The Main Library will be open normal busness hours on Saturday and Sunday. Join us for our morning play group on Mondays from 10:00 – 11:00am. We will be sharing picture books on NOOK eReaders, playing with Brain Boxes, cars, Play-Doh, blocks, etc. Simple snack provided for kids. Join Ms Julie and the Casa Grande Public Library for a special Thanksgiving program with stories and a mini puppet show. The puppet show will be followed by a simple craft, a snack will be provided. Tuesday at 10:30 a.m.
Join Mr. David for stories, rhymes, songs and educational play; Storytime will be followed by a puppet show. Preschool Storytime begins at 10:30 a.m. on Wednesday. The Vista Grande Public Library offers Tween Gaming with a variety of video games and board games. Program meets Wednesdays from 3:30 to 4:30 p.m.
Parents are required for children under the age of 12. In partnership with the Boys and Girls Club of Casa Grande Valley, a teen afterschool program is offered at the Vista Grande Library Monday through Friday from 3:00 to 6:00 p.m. for all high school students. Spruce up your home for the holidays by painting and decorating a glass bottle! Ms Catherine will show how to make these cute Christmas decorations. All supplies provided by the library. This is a one session class on Thursday, November 30th from 10:00 a.m. to 12:00 p.m. Call 520-421-8652 to reserve your spot!